Albert Einstein once remarked that behind all observable things lay something quite unknowable. And the motivation for his own work in physics stemmed from something as apparently innocuous as his father first showing him a compass when he was a boy. Yet, the wonder and inspiration of that moment, which he never forgot, led ultimately to his own stupendous scientific breakthroughs.This book explores that special territory perceived by Einstein: where the unknown takes over from everything that is understandable, familiar, explicable. And, that interface between known and unknown is of the very greatest importance: it lies at the heart of the human quest to take knowledge beyond the boundaries of the known. It is what scientists do when they undertake their research, from the trajectories of comets to the replication of cells. But it is also what religious people do when they start to explore their relationship with what they perceive as the divine. 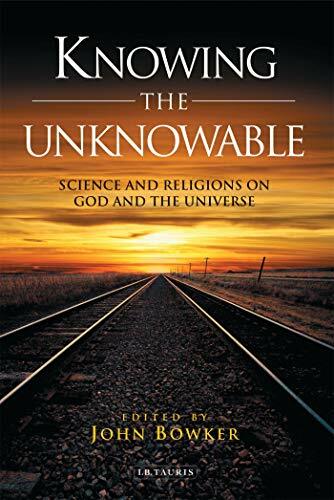 Their mutual effort to 'know the unknowable' is a profoundly important way in which human beings explore the limits of themselves, as well as of the universe.Bringing together distinguished contributors, both scientists and theologians (including Rowan Williams the current Archbishop of Canterbury), to explore the implications of what such an invitation means in practice, this groundbreaking book explores important topics like cosmological absence, negativity in Christian mysticism, and the 'hiddenness' of God in Buddhism. John Bowker is a former Fellow of Trinity College Cambridge and has been both Professor of Religious Studies at Lancaster University and Gresham Professor of Divinity in London. One of the most distinguished contemporary writers on religion, his many successful and prizewinning books include The Meanings of Death, God: A Brief History and The Sacred Neuron (I.B. Tauris). Published by I.B.Tauris & Co. Ltd.